In the NFL, quality backup quarterbacks are like spare tires to a car: if you have one, you’re going to go a lot farther than those who don’t have one. Unfortunately for the hometown Chicago Bears, the car they’re travelling in is missing its motor in running back Matt Forte, and a few tires in Jay Cutler. To anyone who’s seen a drive or two of the Caleb Hanie-led offense, there sure-as-hell isn’t a spare tire anywhere in site. 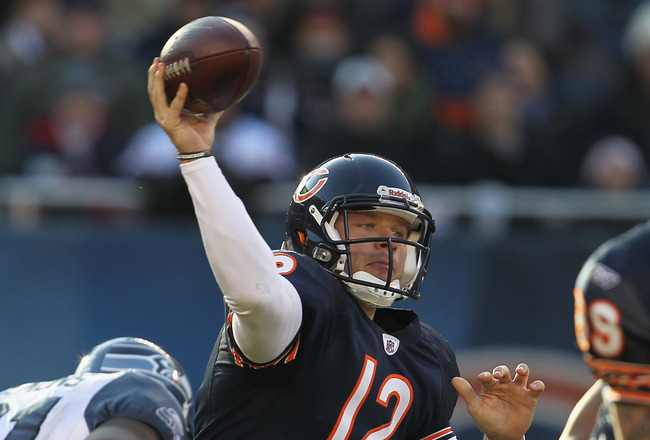 The Bears organization may finally be learning a tough lesson when it comes to quarterbacking. Once a 7-3 team looking like a playoff lock, the Bears have now fallen flat, losing all four of their games in which Caleb Hanie has started. You can pretty much blame Hanie for all of the losses, as he has thrown for only three touchdowns and nine interceptions so far. However, the problem lies deeper than that. Quarterback problems have always seemed to be a thorn in the side of the Bears. Before Jay Cutler arrived from Denver, the Bears virtually went through almost two decades starting back-up quarterbacks. Now, when you’d think that the Bears are set at quarterback, problems arise once again. Let’s face it, Jay Cutler is not made of steel. He’s human, he’ll get hurt. It just so happened that he managed to get hurt at one of the most pivotal times of the year, on two separate occasions. If Cutler doesn’t get hurt during the 2010 NFC Championship game against the Packers, he might will us to a comeback victory and probably doesn’t throw a pick-six to B.J. 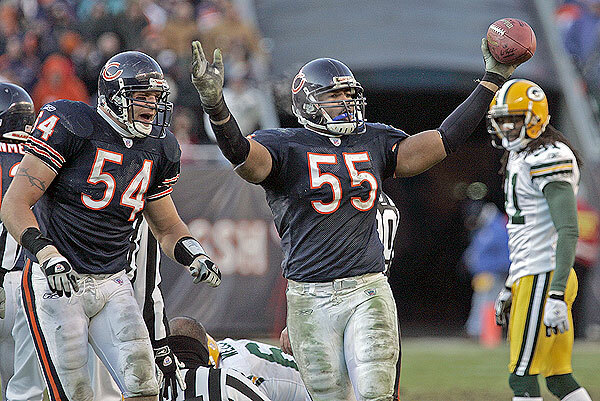 Raji to put the game out of reach. If Cutler doesn’t get hurt this year, the Bears are looking at a record that has at least nine to ten wins, if not eleven, as well as a playoff berth. That’s two seasons down the drain. It really makes me wonder what could have been if the Bears had a little bit of foresight to develop a serviceable backup quarterback. Looking around the NFL, almost every great team has a serviceable backup that they drafted specifically for that role, or even as a starter in the future. In 2005, Green Bay drafted a quarterback in the first round you might have heard of: Aaron Rodgers. This was a full three seasons before the legendary Brett Favre began the great comeback debate every offseason. The Patriots drafted Matt Cassel in 2005 (who went on to win 11 games in 2008) and even spent a third round pick on Ryan Mallett in this year’s draft, with Tom Brady there for the long term. Maybe Nathan Enderle (who was drafted in the fifth round in this year’s draft) will be that guy someday, but the fact of the matter is is that the Bears needed a backup now. Either way, this season just proves that the backup quarterback position is much more important than once thought. Teams like the Texans were prepared, and are well on their way to seeing the field after Week 17, while teams like the Bears, Chiefs, and Colts were not and are now the laughing stock of the league.